As a photographer, I often have to climb a tree or hang out of a window to get an elevated viewpoint of my subject or get down on my hands and knees to capture a dramatic low level perspective. This however was nothing compared to the contortions I had to do while shooting a recent social media campaign for Sylvanian Families. 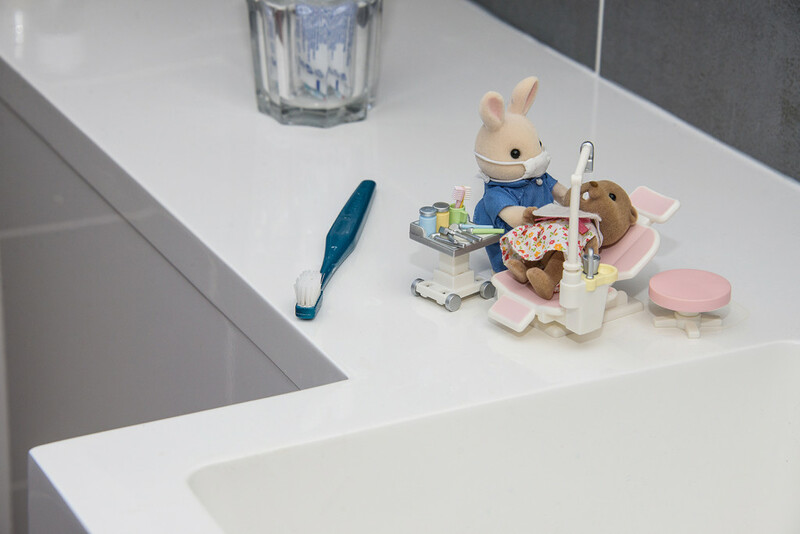 The brief was developed by Highlight PR in Bath and the aim was to get pictures from a child’s (and Sylvanians) viewpoint and place the little characters in the ‘real world’. The shots were taken in a variety of locations around the city of Bath with the tiny figures going about their everyday activities under the noses of the city’s human inhabitants. 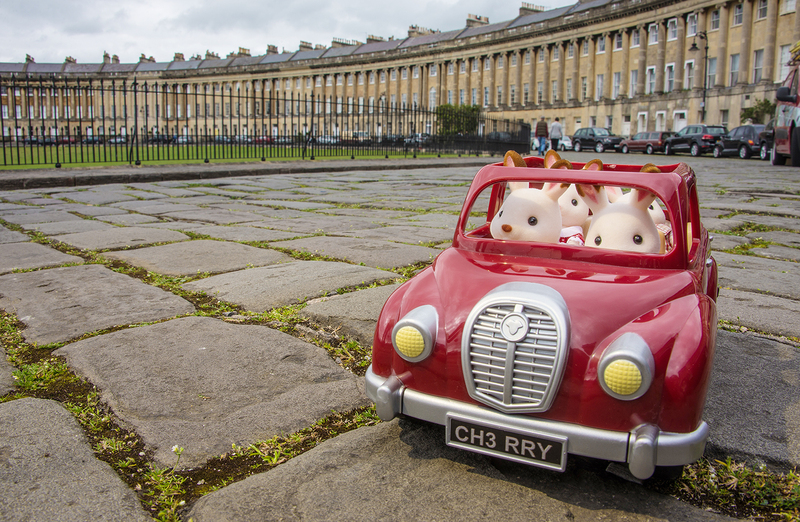 The shot of the car (above) driving around the city’s famous Royal Crescent required me to lie flat-out across the middle of the road. While I was trying to compose the picture and avoid being reflected in the car’s bodywork my assistant had to guide traffic and pedestrians around me. 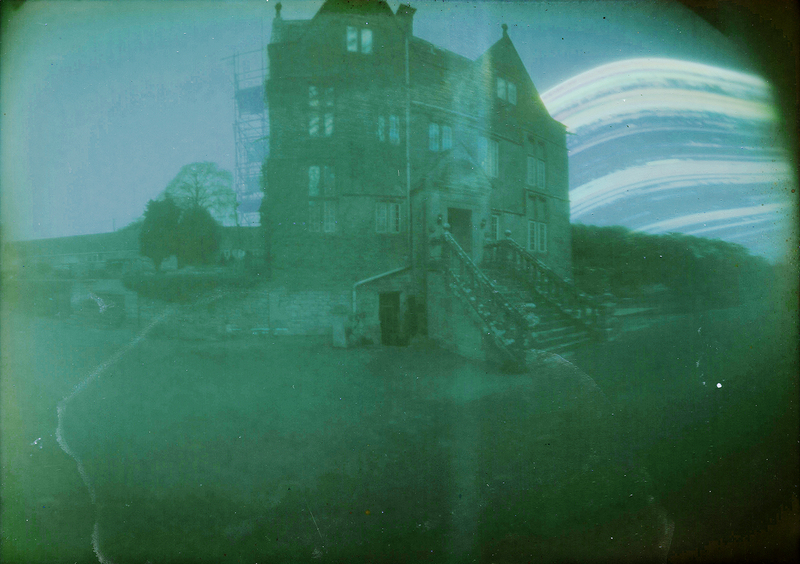 None of these images have been heavily manipulated, the lighting, colour and perspective were all captured ‘in camera’. The characters are only a couple of inches high so casual observers couldn’t always understand why I was lying flat on the pavement or what my lights were pointing at. 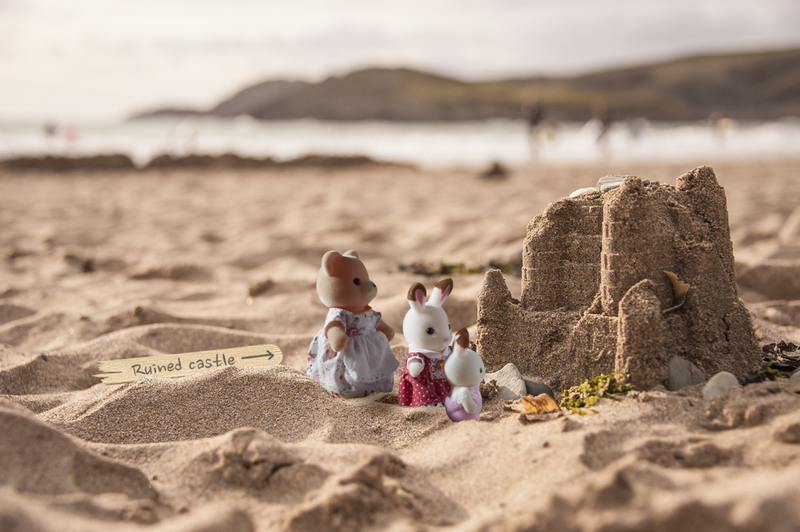 The images have been widely used to promote Sylvanians both on Twitter and Facebook and other social media though they may also be used in traditional print media in the future. It was great to work alongside Alison Vellacott from Highlight PR and I think we managed to get some entertaining images though I think I will need to limber up with a spot of yoga before I do it again. 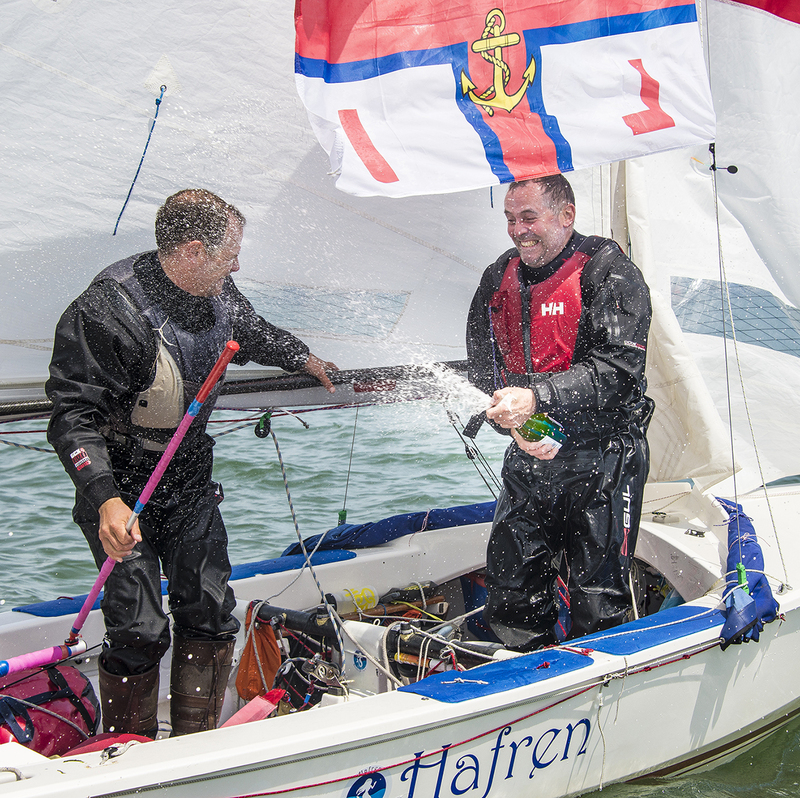 Linking in to the earlier story on the 2nd July, Phil and Jeremy sailing in their tiny Wayfarer dinghy Hafren successfully managed to knock 43 days of the previous record for sailing around the coast of Britain. This is a recent short film combining video and stop-motion (stop frame) animation used for a show reel. I borrowed my daughter Grace’s Sylvanian Families characters as my main talent. She also has a little car styled on the classic British Morris Minor from the 1950s which I thought would also work well in the film. When I picked up the car I noticed it had one squeaky wheel, this gave me the idea for the film. The kitchen in my house was being installed at the time so there was a lot of tools and materials lying around which provided a great location for the story. 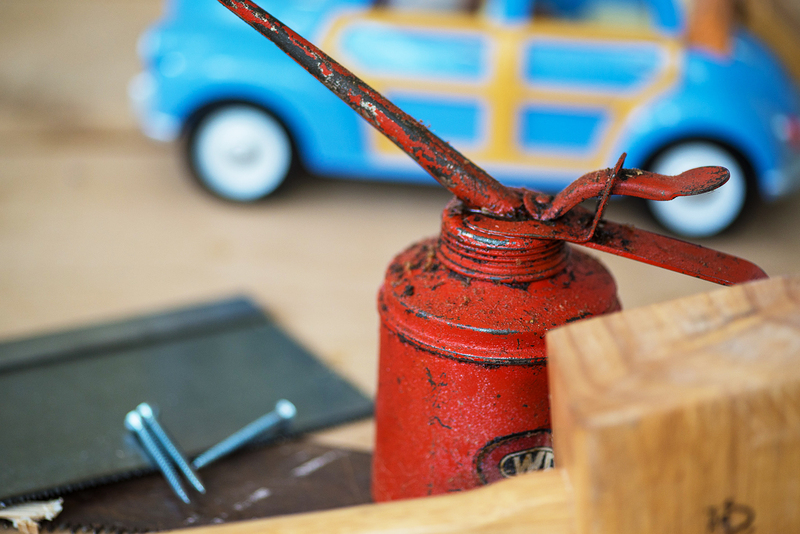 Ambient sounds used for this include; the squeaky wheel itself, the engine starting and horn of a 1968 Citroen van, some power tools and hammers, the oil can, a screw on a metal saw, dripping water. The film combines video, stop frame animation and ambient sound recording. I used a skateboard for the shot of the characters driving towards the camera. Stop motion animation, when combined with a detailed knowledge of Photoshop can really bring an inanimate character to life. In the video the characters blink at the camera. 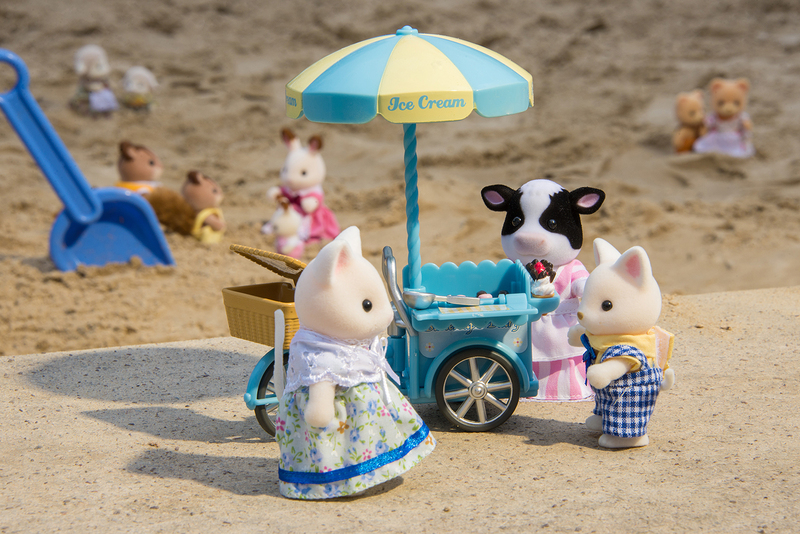 Since seeing this film Grace hasn’t been able to turn her back on her Sylvanians just in case they spring into life. Our services include planning, filming, sound recording and editing. As an alternative to animation or standard video I also offer photo-films, you can see examples here.